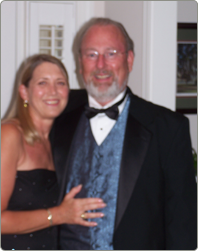 We're Tom & Eddi Martin, and we've been in the jewelry business for over 30 years. Our store, Goldmine Jewelry Shoppe, has served customers throughout the Southeast since 1986. Family owned and operated, a large part of our appeal is our dedication to excellent customer service. Our team at Goldmine Jewelry Shoppe is passionate about our customers. They strive to establish relationships in order to better understand each individual's tastes and needs. This personal attention to detail combined with extensive product knowledge allows us to ensure a positive experience for all of our clientele. Our goal is for people walk through our door as customers but ultimately leave as friends! Whether your transactions are online or in house, you can be assured that our goals are service and satisfaction. From our family to yours – we look forward to many shared happy memories!